I'm not going to give this book my typical review because nothing about this book or my reaction to it is in any way typical. To start, I have to say that I used to watch quite a few Bravo shows, particularly the Real Housewives. I loved seeing Andy Cohen host the reunion shows and I thoroughly enjoyed his memoir, which I listened to a few years ago. That said, I don't have cable anymore and haven't watched the Housewives for some time. I am also, typically completely uninterested in the mundane lives of celebrities. I roll my eyes at tabloids and could not care less about who is sleeping with who or who broke up or got together. And I especially don't care about seeing them buy shampoo or play with their children. 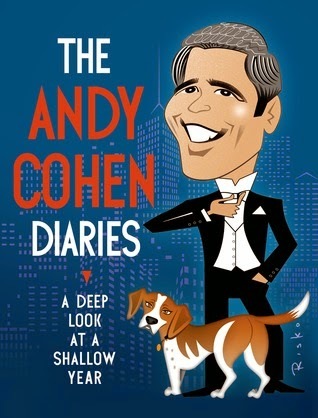 So it makes absolutely no sense at all that I thoroughly enjoyed this book, other than that I think Andy Cohen is clever and funny. But I loved it. Every minute. I listened to it on plane rides, car trips, and while I got ready for bed at night. And I can't explain to you a single thing that would make this book appealing. It's one reason I had to write a review because my reaction is just so bizarre. Basically, the "plot" is that we are reading a year's worth of Andy Cohen's diary entries. We listen to him whine about his weight, love his dog, and go out to a bazillion dinners with various celebrities. There isn't really any juicy gossip and no shocking revelations. Every chapter/entry is just a catalog of Cohen's day, filled with name dropping and rich-person complaints. He goes to dinner with famous people and has a nice time. He takes his dog to the park. He goes on a TV show that I don't even watch and interviews another celebrity. He's happy he lost weight or sad he gained weight. He wants a boyfriend. I listened one day with Luke in the car and he was blown away by the sheer stupidity/insipidness of what I was listening to. He kept asking what the point was. THERE IS NONE. It's a book full of nothing. And yet, I couldn't stop listening. I was consumed. 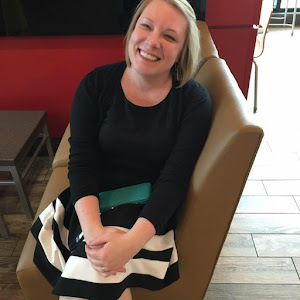 I needed to know what would happen to Andy next (hint: it's nothing!). I fell asleep while listening on the plane and missed a few days here and there but didn't need to go back and re-listen because, you guessed it, nothing happened. And yet. AND YET. This is not a negative review, because I loved this book. I had numerous conversation with various Reader Friends while I listened where we discussed what could possibly appeal to me about this book, full of boring information about shows I don't watch on networks I don't have access to and celebrities I don't care about. I've come to believe that I just love Andy Cohen so much and find his voice so delightful that I'd listen to him read a grocery list. Which is basically what this book is full of. I don't know who I would even start to recommend this to. Anyone who adores Andy Cohen as inexplicably as I do? I honestly can't think of a single reader who would enjoy this book the way that I did, other than anyone who is coincidentally obsessed with Cohen. Also, I have to say this in his (and my own) defense: Cohen knows that he is seriously spoiled and shallow. As opposed to say, Lena Dunham, he opens his book acknowledging that it is full of name-dropping, spoiled behavior, and shallow thoughts. It's the basic premise of the book, and I loved every second of it. No idea why. This is the best review of all time. I was laughing between your "I don't care about" and more "I don't care about" sentences. I floundered back and forth about reading this book and his first book. I loveeee Andy. His reunion shows with the Housewives produce the best facial expressions. I actually watch a couple of the Housewives shows. I will check this one out.